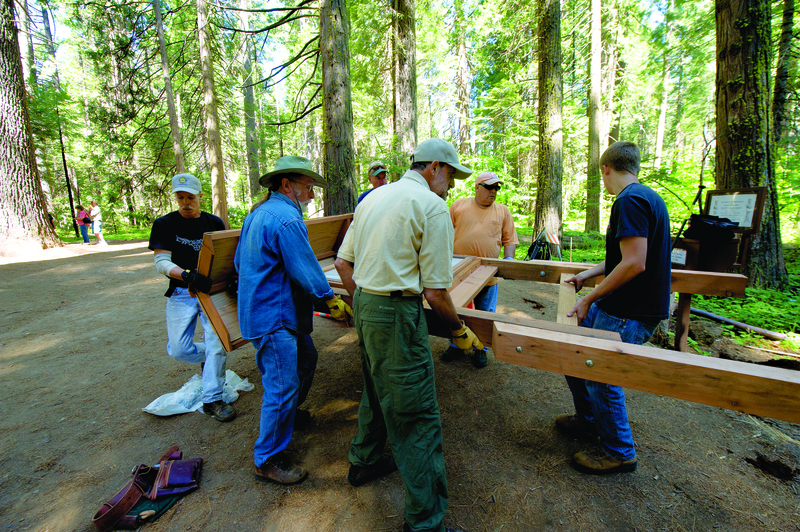 Tireless volunteers helped build the park system without financial compensation; their support of our state parks continues to the present day. From the small group of concerned citizens in 1864 who persuaded the Federal Government to preserve Yosemite Valley and the Mariposa Big Trees Grove to the more than 35,000 individuals and groups who donated 1,107,782 service hours in 2012 (valued at $24,526,293), California State Parks could not exist without its volunteers. Types of volunteers have evolved through the years. Early in the system, park staff and their families lived in parks and could be seen painting, planting and otherwise improving their parks. They often served as the first Park Hosts—a positive, informational presence to visitors in the parks. Community partners were seminal in disseminating information about parks, bringing attention to park issues and the need to preserve areas for protection and public enjoyment. California Governor Edmund G. Brown Jr. signed legislation enabling the creation of the volunteer program in 1978. The California State Government Volunteers Act authorized state agencies to engage volunteers in direct service activities. This important legislation recognized the value of volunteerism to state government and all of California. 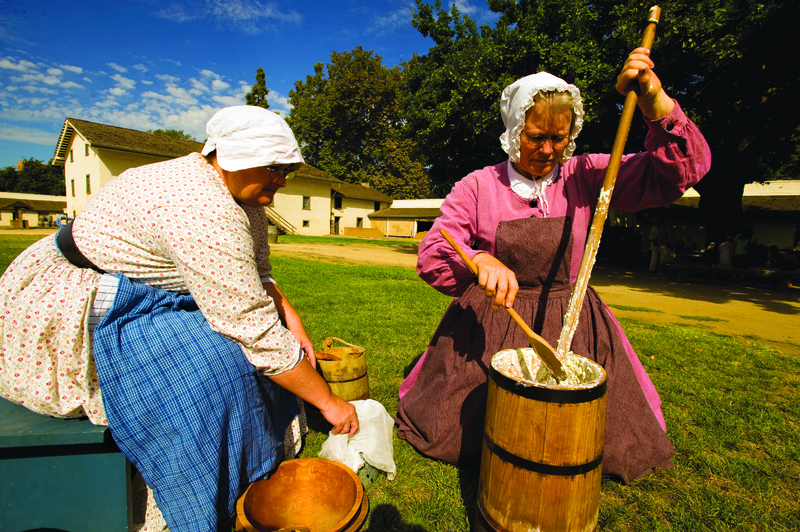 Today, public volunteer participation also comes in the form of trained docents, horse and boat patrol, and living history interpreters. Park Hosts have become a fixture in camping as well as historic parks. 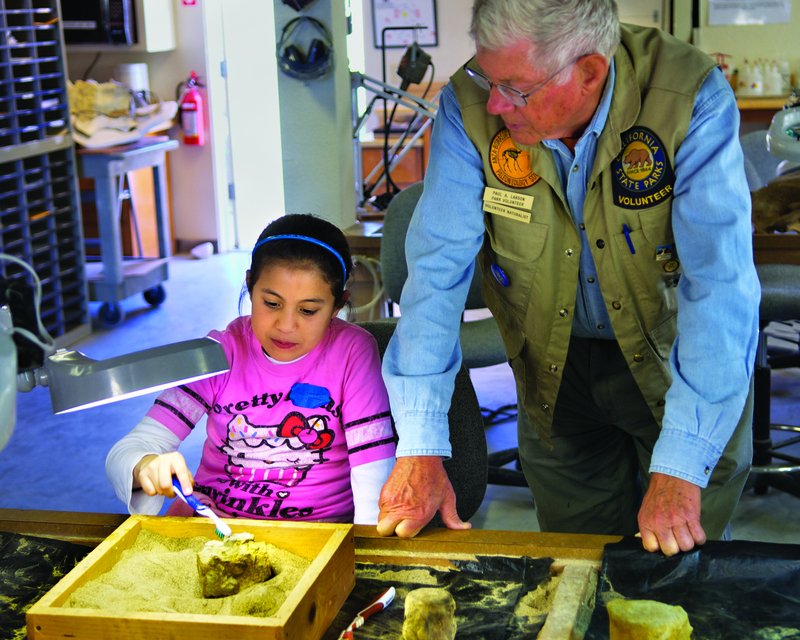 Hosts lead school tours, sell firewood, perform maintenance duties, assist staff in Junior Ranger programs, and do whatever is needed—while proudly wearing the California State Parks volunteer patch. Californians enjoy one of the largest and most popular park systems in the world. The diversity and beauty of California’s state parks attract more than 70 million visitors annually—challenging park managers to seek innovative ways of providing needed maintenance, educational programs and operational support. Starting with that first small group in 1864, the volunteer program has grown to become vital to the successful operation of our state parks. Like our parks, volunteers are a gift from the people to the people. Click http://www.parks.ca.gov/?page_id=886 for more information. The "Savior of the Redwoods"